Beds are comfortable. Silk sheets are a very nice touch. The shower was excellent with ample hot water. All Star Philippines, the newest dive liveaboard, is a 118-foot yacht. 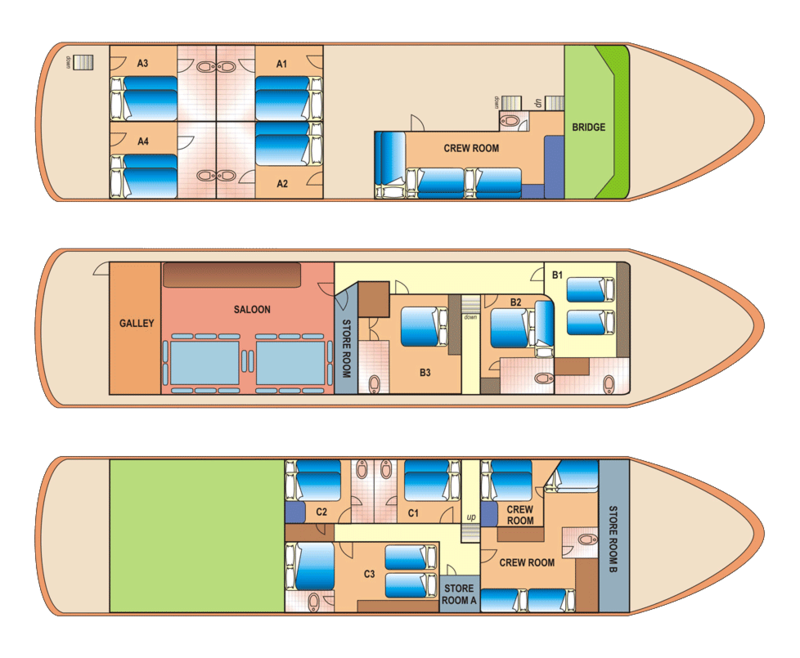 Its 10 cabins with private baths are divided between three decks and can accommodate up to 21 guests. * All cabins with private bathroom. All beds are memory foam.